Appearance (0-20): The initial impression is great! 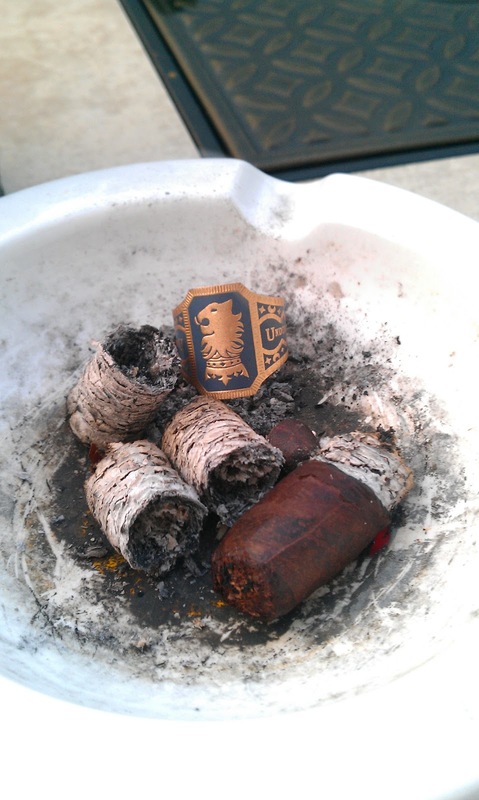 The deep dark brown wrapper of the Undercrown is very well packed and oily. The wrapper was very toothy; I’m not sure if this was from having it in my humidor for 6 months, or natural from production to the store. The caps were so well put on, that I had trouble seeing the lines to clip off the end. 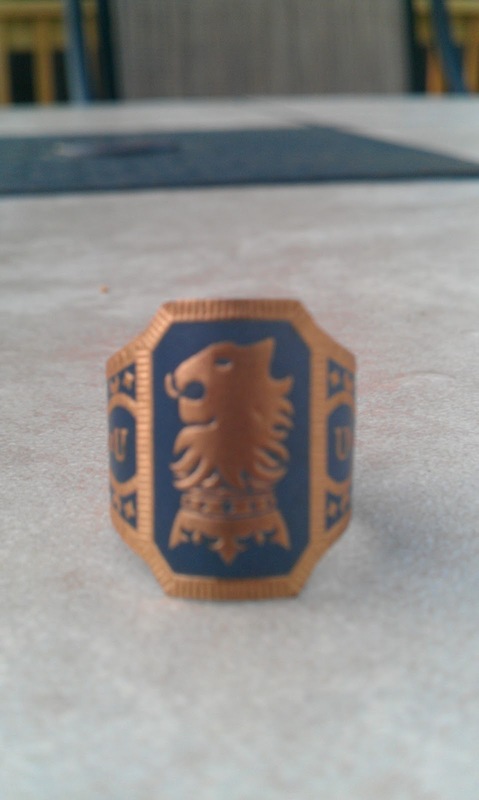 The band uses the Liga Privada emblem, and utilizes a nice deep blue color to offset the gold embossing. 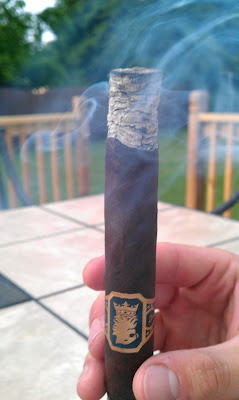 Overall the stick is very inviting to an cigar enthusiast who has never come across this stick before. Construction (0-20): Initially after clipping off the cap, the cigar draw was somewhat tight. Once it was light, the draw didn’t really matter as ample amounts of smoke were given. 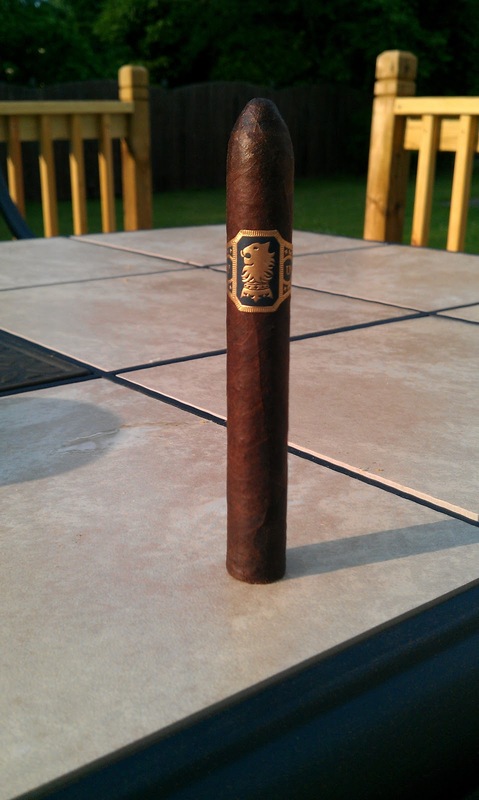 This cigar absolutely smolders when not smoking it, and you breath like a dragon when exhaling. You neighbors will probably think something is on fire next door. Some people like this ( I personally do), while others don’t. The ash was a beautiful speckled white ash that held on nicely for 1.5 to 2 inches. Strength (0-20): This sits right around medium-full. Depending on your tolerance, you will be higher or lower on that scale. The balance was perfect; not too heavy, but very full on flavors. Flavor (0-20): Straight off of the first draw, you will get very full flavors. After you get about an inch into the Undercrown, you will really notice how earthy and cocoa are so prominent. I would highly encourage retrohales during this stick, as the flavor will really burst and give you a better experience. There is a bit of spice during different points, which really gives a nice balance to the inherent sweetness present. Value (0-20): I was happy with the price point. When you look at the quality of products and amount of work that does into the stick manufacturing, the price point is more than fair. While there are many good cigars around this price range, the price doesn’t make me not want to buy it. A very good value! Additional Notes: Smoked on my deck. I started the paring with Makers Mark, but switched to water because it was diminishing the Undercrown flavors. Overall (0-100): This was a cigar that I had to smoke all the way down to the nub, or I felt like I was wasting it. Top to bottom, I’ve had no issues with any of their smokes. 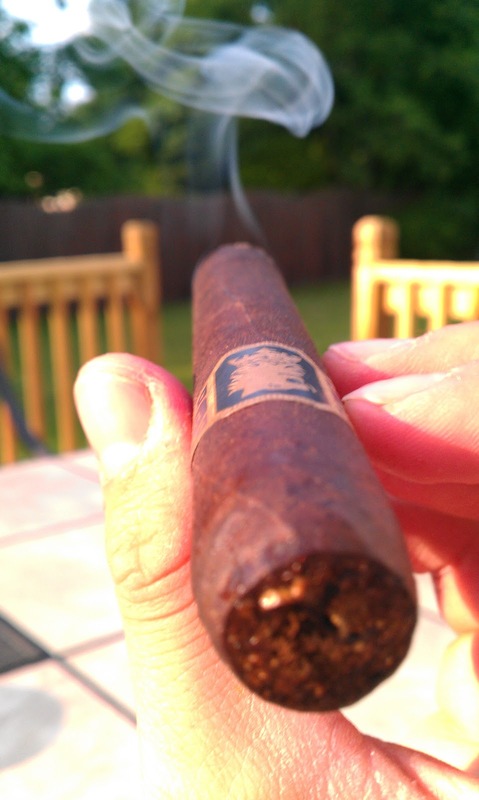 For an affordable cigar, this is one that both newbies and expert enthusiasts can enjoy. I’ve only smoked 3 of them so far, yet the experience was good each time. This is another cigar that I will look for in the future, and recommend to others. I agree! This is a good cigar. I will have to smoke one this weekend!